Even today, nine years after the day, I remember it vividly. 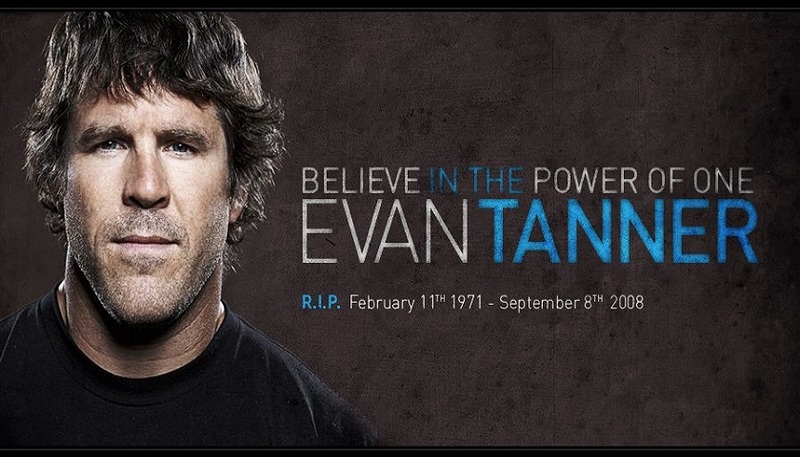 Marines flying overhead in the Southern California desert found the body of the missing former UFC middleweight champion, Evan Tanner. On Sep. 3, 2008 Tanner rode out into the desert region west of Palo Verde, California on his motorcycle to go camping. He posted his plans on social media which led to many fearing that something bad could happen. According to Tanner’s manager John Hayner, Tanner called that afternoon to say that his bike had run out of gas, and that he would accordingly walk back to his camp. Temperatures that day reached 118 °F, and friends became concerned and reported Tanner missing after he failed to contact them. His body was discovered by a Marine helicopter on September 8, 2008. The Imperial County coroner determined Tanner’s time of death to be sometime between late September 4 and early September 5, but his legal date of death was recorded as September 8, 2008. Tanner’s body was found near Clapp Spring with empty water bottles. Tanner had reportedly intended to refill his bottles at the spring before heading back to the provisions at his campsite, but the spring was unexpectedly dry, and he sent a text message to a friend informing him of this. However, Evan felt he could make it back to camp if he traveled during the later hours of the evening, refusing offers at that time to send help. Friends were told that if they had not heard from Evan by the next morning and could not reach him by 8am, they then needed to contact Search and Rescue. Rescuers found Evan at a spot where he stopped to rest. During that rest, he succumbed to the excessive heat, slipping over onto his side into the position that rescuers found him in. An empty water pouch was nearby. According to the military article that was posted, Evan’s motorcycle was at his camp, and within his provisions were ample supplies of water. The Imperial County sheriff’s office official cause of death was cited as heat exposure. Tanner’s first major title shot was in the UFC in the light heavyweight division when he took on Tito Ortiz. Unfortunately he was knocked out in just 32 seconds. This changed the way that Tanner trained, and he would learn from the loss. Tanner won the UFC middleweight title after defeating David Terrell at UFC 51 in February 2005. He would lose it in his next fight to Rich Franklin four months later. The former UFC champion first began fighting professional in 1997. He amassed a pro record of 32-8. His last fight was a loss to Kendall Grove two months prior to his death.